I agree with the editor that India’s scientists have retreated in silence (‘Indian scientists: missing in action’, March 15-31, 2011). I am one of them. I agree it is in part because of the scientific illiteracy of society. But I disagree with the pejorative embellishments used in the article like “comfort holes”. It is this manner of engagement, with an intent not to enlighten but to taunt, that has led scientists to withdraw from public debate. Take for instance genetically modified (GM) crops. Both the editorial and an article by Latha Jishnu (‘Scientifically invalid’, January 16-31, 2011) have trashed the Inter-Academy report on GM crops. Jishnu’s write-up in particular has been extremely selective in quoting from the critics of GM crops alone. I am an elected fellow of three of the academies that were signatories to the report but was not involved in preparation of the report (other than providing a written submission of opinion). Yet I am broadly in agreement with its conclusions and recommendations. There is a scientific aspect related to GM crops that has made it difficult for scientists to completely accept critics’ statements. It is the absence of a suitable underlying mechanism to explain such risks, given the knowledge of the science involved in creation of such crops. In a democracy voice of the masses is critical to the decision-making process, but scientific outcomes are not determined democratically. The debate between scientists and the public must be non-adversarial (that is, each member trusting in the bona fide of the other) and among individuals who are knowledgeable of the scientific issues in the debate. J Gowrishankar, like other members of the top academies, does not like any criticism of the report. Instead, they have chosen to make this into a debate on GM crops. That is not the issue here. All that our reports have highlighted is the complete lack of vigour in the Inter-Academy report on GM crops. None of the top academies should have submitted such a shoddy report. Scientists should demand the respect of other professionals and lay persons by demonstrating pride in their work. As for “selective criticism”, these are also some eminent scientists and one who is a member of an academy. We rest our case. Silence, instead of vocal defence, on the part of ISRO scientists left me puzzled. Are they under any political ­pressure? 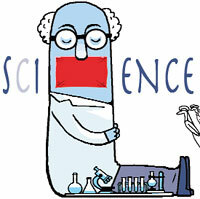 There are many areas where common man needs support from scientists. But that does not mean they have to come to the streets. Mindless activists should be kept away to avoid mud slinging. Open, unbiased and logical debate should be welcomed. This may help strengthen scientific approach among the public and pave the way for policies meant for development of the country. For instance, the nuclear energy project in Jaitapur in Maharashtra should be reviewed in the light of the Fukushima nuclear plant meltdown in Japan. Who will address this issue other than scientists? 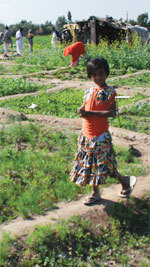 Drought in Jharkhand is a quintessential case of poor planning and implementation of water harvesting programmes (‘Drought hit’, February 16-28, 2011). Lack of need-based assessment, non-scientific approach and poor community participation resulted in the fall of the water table in Jharkhand. Immediate action is required. Geological/geophysical mapping, rainwater harvesting, development of surface water resources, community ownership with women’s participation, government support through schemes and facilitation by non-profits can help improve the situation. The write-up “Public good, private concerns” (March 16- 31, 2011) makes reference to the water regulatory authority in Maharashtra. I have been working with the authority for the past five years and am not aware of any criticism. Nor has the authority got any rap “for being influenced by corporate...”. The statements in the article show profound innocence on the part of the author about the authority. In fact, the authority has been able to deliver on both fronts, bulk tariff fixation and bulk entitlement determination, entrusted to it by the Maharashtra Water Resources Regulatory Authority Act, 2005. The criteria for tariff fixation were finalised after exhaustive public consultation. Affordability is the lynchpin of the model. Although the entitlement programme has been introduced on a limited scale, early results show effective water use. Rajasthan, Gujarat, Jharkhand and Tamil Nadu are drawing from our experience. The few differences between the authority and civil society groups relate to issues outside the realm of the existing water policy and the Act. The editorial “Connected events and difficult future” (April 1-15, 2011) analyses where the world stands in terms of energy. But it misses a vital point: oil production world over has reached its peak but countries are still frantically searching for more oil and gas sources. The alternatives, as pointed out in the article, are locked in areas that are either extremely environmentally sensitive or require more energy to extract than the net gain. This is an unattainable solution. The possible answer could be a multi-faceted strategy. 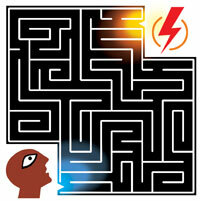 First, and perhaps the most difficult, people should reduce their energy consumption. People are addicted to machines that consume energy in large amounts. Second, the government must push forward, with all haste, development of solar and wind technology. This should be pursued on a local and small-scale basis, rather than trying to create huge networks of production and distribution of electricity. For, these require huge expenditure on energy and resources for development. The only way to secure energy is to either reduce consumption or find alternative sources. Man must try both. Reduction in consumption is possible through increased use of public transport. Stopping cross-border aggression will also stop energy consumption by the defence forces. Another way to bring down consumption is the Gandhian way of curbing greed, using limited energy. Clean water and energy seem to be disintegrating the world. Conserving water and energy resources is essential to avoid global civil strife. I agree nuclear energy production is fraught with dangers but what surprises me is the world’s disinterest in harnessing solar and wind energy. It is expensive, but with more research and development, the cost can be lowered. Is it that the lobby for these forms of energy is overpowered by the oil and gas lobby? 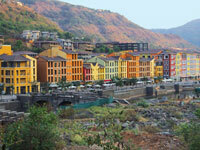 Initially, Lavasa looked like a good investment (‘Lavasa exposed’, April 1-15, 2011). I even toyed with the idea of buying a flat when I visited the site. But looking at the way the construction is being hurried, it is clear that vested interests are working. The “self-reliant city” tag is just a myth. Till Lavasa came, people from nearby villages were not in contact with the outside world. Now there are better transport facilities and job opportunities. But will the people have the purchasing power to enjoy these amenities? Lavasa looks beautiful and more such cities should be built but not at the cost of bringing basic urban amenities to rural areas. Development in Barmer district is a result of oil production activities and two upcoming thermal power stations (‘Water turns the tide’, April 1-15, 2011). While industrial activities have given traders an opportunity to increase their wealth, it has brought misfortune to the thousands of people displaced by the projects. While a small area is seeing great inflow of money in the form of corporate social responsibility activities from companies, 90 per cent area of Barmer is still lacking in basic amenities. The graphic in “Nuclear fault lines run deep” (April 1-15, 2011) wrongly describes “level 3” as “serious accident”. It should be “serious incident”. In the same graphic Narora (India) has been placed at level 4. It was a level 3 “incident”.